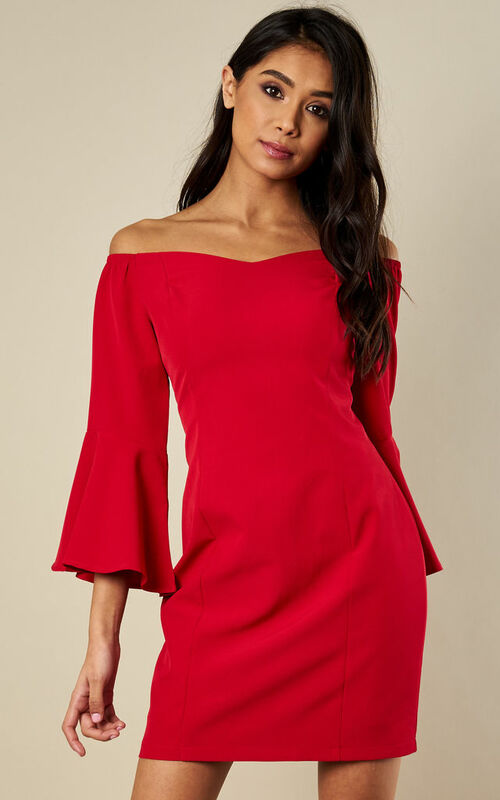 Turns heads in this unforgettable red dress. Perfect for those dinner dates and classy nights out, designed to hug your hips, but not too much. 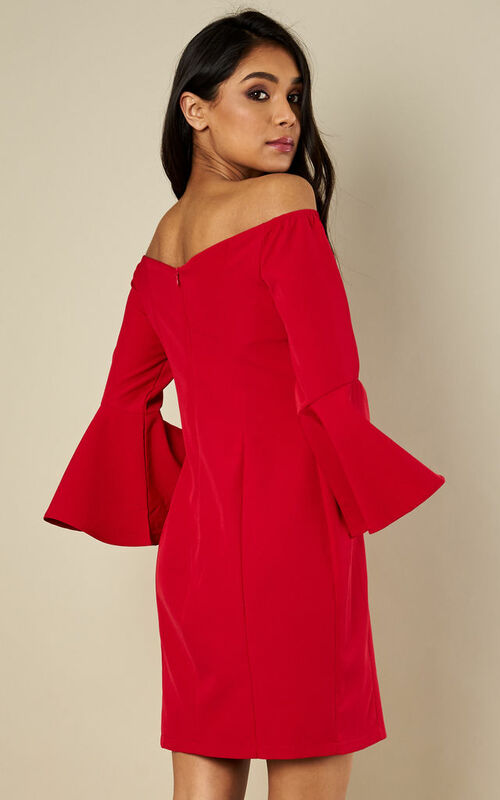 Accentuating your neckline with a flattering off the shoulder style and bell sleeves, you'll be the belle of the ball everyone's talking about. All good things, of course. 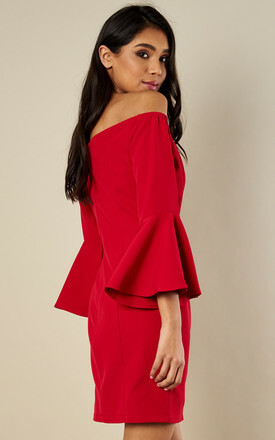 Styling advice: Team with heels and a simple clutch to complete the look.